@Sol My understanding of why #Russian and #Chinese and #Indian #people [s]are systemically important to a sane world. why don't you do a survey of american with the Muslim in the usa. let's see if its a #china only thing? research how the muslims are treated in the usa....they are stigmatised as evil. so don't judge the chinese folks as a whole at raw value when there lots of other variables at play. #oppression..how many #white #cops in the #usa are punished for their oppression of #asians, #blacks or #Latinos? dude get a life and put into context of what you're saying, unless you're #anti-chinese and furthering your quest to gather consensus to oppress #chinese folks everywhere. A #poll of over 2,000 #Chinese people was done on #WeChat, the most popular #social-media app in #China, and found that after #reading the #manifesto, 81% #sympathized with #BrentonTarrant. Do you have sympathy after reading the gunman’s essay? A Further 61% said that it wasn’t terrorism, but an act of revenge. How would you characterize the attack on the mosque? Chinese people have a general obsession with #revenge as a #justified concept, and have no trouble #understanding the concept of #collective #punishment and #group #responsibility. None of this “oh but those specific #individuals didn’t do the #specific acts he was angry about so they are individually totally #innocent” nonsense. But 14% saying he was just defending himself is #hilarious. And I wonder how many people are going to be #arrested for saying this in the “oppressive no human rights dictatorship” of #China? Any guesses on the number of people who will be arrested for sympathizing with #BrentonTarrant in China? Because in the #West, they’re rounding people up #left and #right for that. Oh, zitter, bibber, zeter der #Chinese (ehm, war das nicht früher der #Russe?) greift #Daten ab wenn er das #Mobilfunknetz ausbaut. Ich, für meinen Teil, glaube fest daran, dass er dies tut! Allerdings glaube ich auch nicht daran, dass irgend ein amerikanischer oder europäischer #Konzern dies nicht macht! Im #Grunde kann man dieses Problem durchaus relativ einfach beheben: Man setzt einfach nur #Software ein, welche #frei und #opensource ist. Dann kann jeder nachschauen was gemacht wird, keiner hat ein #Problem und die #Welt wäre ein #Stückchen besser! Oha, eine bessere #Welt? Will man dies überhaupt? ESET suspects that tens or hundreds of thousands of users have been infected already. Prominent names feature on the hacking list. Thousands of fans convened at Shanghai’s Mercedes-Benz arena on Saturday to see an unusual show: a virtual hologram singer named Luo Tianyi, accompanied by world famous Chinese pianist Lang Lang. Researchers discover new Antd crypto-mining malware targeting Linux systems. ‘“I have been able to visit the Tibetan plateau a number of times. I've been deeply touched by the breathtaking landscape of Tibet and the happy-go-lucky spirit of the Tibetan people. The Tibetan people's profound regard for the natural world and animals has also cast a life-long impression on me. Their unwavering optimism, all-encompassing and peaceful way of life, are in extreme contrast with the psychological states of modern city dwellers. In my works of life on the Tibetan Plateau, I focus more on movement, so as to convey the beauty of extreme tension and moments of life. When I was in Tibet, I spent a lot of my time lying down in the grass, as I suffered from acute mountain sickness. As I lay there gasping for air, a delightful picture revealed itself before me: a couple of young, spry Tibetan girls racing about the countryside with their herd of yaks. These Tibetan girls reminded me of 'Feitian', the flying Devi (literally: 'goddess')*, when they are still earthly beings. More at Wikipedia. Wang Yi Guang was born in Yimeng Mountain area of Shandong, China. He is a younger brother of another notable painter, Wang Yidong (王沂东). He graduated from the Central Academy of Fine Arts in Beijing in 1990. He participated in various national and international exhibitions and art fairs in Beijing, Guangzhou, Tokyo and Hong Kong. Wang Yi Guang currently works as a creative designer for the China Railway Construction Corporation. Wang Yiguang (Chinese: 王沂光; Pinyin: Wáng Yíguāng) is a modern Chinese painter notable for his Tibetan paintings of flying people, yaks and sheep. Researcher finds one of the databases used to track Uyghur Muslim population in Xinjiang. "Anyone supposing Huawei products are #spying on them or that they are a #securityrisk hasn't given any thought to the #technology already around them. #Apple and #Samsung #smartphones, voice assistants like #Siri and #Alexa, #Facebook and #Google, among so many others, collect and store and even #share #endless amounts of data about us whenever we activate them. Those big tech companies often also work with #governments and #militaries and it's anyone's guess what gets passed on, as #whistleblower #EdwardSnowden so helpfully revealed in his leak of #UnitedStates #spyagency #documents. To trust one and not the other, simply because one is #Western and the other #Chinese, is nothing but #xenophobia and, dare I say, #racist. " You will probably never see as many Winnie The Pooh memes in one place ever again. China already sells more electric vehicles than the rest of the world combined. And there’s a long list of the categories you can choose from—including large buses, sports cars, two-wheeled motorcycles, and zippy scooters. One of the hottest categories in that list is “tiny cars.” These mini-vehicles can cost as little as $1,000 and, in China at least, you don’t even need a driver’s license to use them. The catch? Their top speed is less than 40 miles per hour, they run on cheap lead-acid batteries, and they have little to no crash protection. That’s not much of a concern for Chinese users, who are buying these low-speed electric vehicles (LSEVs) like hot cakes. Kaiyun will start selling its “Pickman” electric pickup in the US, Germany, and Italy as soon as next month. The base Chinese model sells for 16,800 yuan ($2,500). The US version will start at $8,950, Fox News reports. These are not snazzy, high-end vehicles, and their marketing isn’t either. A promotional video for the Pickman features a young, hoodie-wearing Chinese narrator plainly explaining the car’s unique features. The pickup comes in six colors, boasts off-road capability, and can fit a “family of three,” according to the video. It has a range of 120 km (75 miles) on a single charge. The battery takes up to ten hours to charge. The Pickman’s top speed is 45 km per hour (28 miles per hour), and it has a payload capacity of 450 kg. For comparison, top-end electric cars like Tesla Model S can go for more than 480 km (300 miles) on a single charge, can fast charge lithium-ion batteries to 100% in 75 mins, and boast top speeds of 240 km per hour (150 miles per hour). The top model costs more than $90,000. And if we compare within Pickman’s category, the gasoline version of the Ford F-150 pickup starts at $28,000 and its upcoming electric version is rumored to start at $70,000. The Pickman can’t do everything that a Ford F-150 can do—such as travel at a top speed of 160 km per hour (100 miles per hour) and carry a payload as much as 1,000 kg. But it still has potential for use on farms or construction sites, where the car can be used in the day and put to charge at night at a lower cost than a gas-guzzling truck. Looking for more in-depth coverage? Sign up to become a member and read more in-depth coverage of China’s electric-car boom in our field guide. The hugely popular low-speed electric cars sell in China for as little as $1,000. Episodes involving discriminatory behavior by the region’s growing Chinese work force have unsettled many Kenyans, particularly at a time when their government seeks closer ties with China. RUIRU, Kenya — Before last year, Richard Ochieng’, 26, could not recall experiencing racism firsthand. Not while growing up as an orphan in his village near Lake Victoria where everybody was, like him, black. Not while studying at a university in another part of Kenya. Not until his job search led him to Ruiru, a fast-growing settlement at the edge of the capital, Nairobi, where Mr. Ochieng’ found work at a Chinese motorcycle company that had just expanded to Kenya. It happened when the two were on a sales trip and spotted a troop of baboons on the roadside, he said. “‘Your brothers,’” he said his boss exclaimed, urging Mr. Ochieng’ to share some bananas with the primates. After his cellphone video circulated widely last month, the Kenyan authorities swiftly deported the boss back to China. Instead of a tidy resolution, however, the episode has resonated with a growing anxiety in Kenya and set off a broader debate. As the country embraces China’s expanding presence in the region, many Kenyans wonder whether the nation has unwittingly welcomed an influx of powerful foreigners who are shaping the country’s future — while also bringing racist attitudes with them. It is a wrenching question for the nation, and one that many Kenyans, especially younger ones, did not expect to be confronting in the 21st century. Kenya may have been a British colony, where white supremacy reigned and black people were forced to wear identification documents around their necks. But it has been an independent nation since 1963, with a sense of pride that it is among the region’s most stable democracies. “They are the ones with the capital, but as much as we want their money, we don’t want them to treat us like we are not human in our own country,” said David Kinyua, 30, who manages an industrial park in Ruiru that is home to several Chinese companies, including the motorcycle company where Mr. Ochieng’ works. Over the last decade, China has lent money and erected infrastructure on a sweeping scale across Africa. To pay for such projects, many African nations have borrowed from China or relied on natural resources like oil reserves. And when tallying the cost, African nations have generally focused on their rising debts, or occasionally on the exploitative labor practices of some Chinese firms. But here in Nairobi, concerns about racism and discrimination are a growing part of the conversation about China’s expanding presence. In Nairobi, workers in their 20s and 30s swap stories of racism or discrimination they have witnessed. One described watching a Chinese manager slap her Kenyan colleague, who was also a woman, for a minor mistake. Other Kenyan workers explained how their office bathrooms were separated by race: one for Chinese employees, the other for Kenyans. Yet another Kenyan worker described how a Chinese manager directed his Kenyan employees to unclog a urinal of cigarette butts, even though only Chinese employees dared smoke inside. The Chinese population in Kenya is difficult to count accurately, although one research group put the figure at around 40,000. Many are here for just a few years, to work for one of hundreds of Chinese companies. Many of the employees live together in large housing developments and are bussed back and forth from work, leaving little social interaction with Kenyans. And many arrive with hierarchical views of culture and race that tend to place Africans at the bottom, said Howard French, a former New York Times correspondent who wrote the 2014 book “China’s Second Continent,” which chronicles the lives of Chinese settlers in Africa. Accusations of discrimination have even emerged on a major state-sponsored project: a 300-mile Chinese-built railroad between Nairobi and Mombasa. The train has become a national symbol of both progress and Chinese-Kenyan cooperation, though positive reviews have at times been overshadowed by concern over its $4 billion price tag. But in July, The Standard, a Kenyan newspaper, published a report describing an atmosphere of “neocolonialism” for Kenyan railway workers under Chinese management. Some have been subjected to demeaning punishment, it said, while Kenyan engineers have been prevented from driving the train, except when journalists are present. It was a particularly explosive claim because during the train’s maiden voyage, with President Uhuru Kenyatta on board, two Kenyan women drove the train to much fanfare. In interviews with The New York Times, several current and former locomotive drivers agreed that only Chinese drivers got to operate the train, describing a range of racist behavior. “‘With uniforms on, you won’t look like monkeys anymore,’” Fred Ndubi, 24, recalled his Chinese supervisors saying. Two other workers with him offered the same account. Mr. Ndubi, who has since left the railroad, said his family had sold about a quarter of its land so he could afford the training needed to become a train operator. “We just stood there and asked him, ‘How can you call us monkeys?’” Mr. Ndubi recalled. Sometimes, the racial controversies have unfolded in full public view. Two years ago, a laundry detergent company in China ran a television commercial in which the detergent’s effectiveness was demonstrated by transforming a black man into a light-skinned Asian man. Last year, WeChat, the country’s popular messaging app, apologized after its software was found to translate the Chinese words for “black foreigner” into a racial slur in English. This year, China’s televised Lunar New Year gala, estimated to reach 800 million viewers, included caricatures of Africans, with blackface and men in animal suits. Mr. French, the author of “China’s Second Continent,” said that when it comes to Africa, China has had a tendency to dismiss criticism of its conduct by noting that the West, not China, fueled the slave trade and colonized the continent. But that misses the point, Mr. French said, by ignoring the treatment of Africans today. “Their experience is that they are being treated in flagrantly disgusting, racialized ways,” Mr. French said. Kenya, home to more than 40 officially recognized ethnic groups, has long had its own problems with prejudice and ethnic tensions. A disputed election in 2007 led to several weeks of mass violence, much of it along ethnic lines. And Kenyans of Indian and Pakistani descent have long felt secluded from mainstream Kenyan life, although the government has granted them greater official recognition. But the Chinese presence has added a volatile new element and, at times, the Kenyan government has seemed divided over how to respond. When allegations of discrimination by Chinese employers emerged over the summer, a Kenyan government spokesman suggested that part of the problem lay instead with Kenya’s national work ethic, which he said might need to change. There are signs that elements within the government may be pushing back. Last month, the Kenyan police raided the Nairobi headquarters of a Chinese state-run television channel, briefly detaining several journalists. The timing struck many as curious: It was the same week that President Kenyatta was in Beijing, raising the question of whether someone inside the Kenyan government wanted to create a diplomatic row. The experience of Mr. Ochieng’ and other workers speaks to the future of relations between the two countries. He took a job as a salesman, thinking it would secure a prosperous future, but when he showed up to work he found a different reality. The pay was a fraction of what he was initially offered, he said, and it was subject to deduction for a long list of infractions. “No laughing,” was one of the injunctions printed in the company rules. Each minute of lateness — sometimes unavoidable given Nairobi’s notorious traffic — came with a steep fine. An employee who was 15 minutes late might be docked five or six hours’ pay, he said. One Chinese manager, Liu Jiaqi, 26, loomed particularly large. At times, he was smiling and good-natured, Mr. Ochieng’ said, but whenever the question of pay came up or something went wrong, Mr. Liu turned on his subordinates. But the most painful, he said, were the monkey insults — the kind of dehumanization used to justify slavery and colonization. Mr. Ochieng’ said he protested several times, but the monkey comments did not stop. The rant that Mr. Ochieng’ recorded came after a sales trip had gone awry. Mr. Ochieng’ asked his boss why he was taking out his anger on him. Mr. Ochieng’ continued that Kenyans may have once been oppressed, but that they have been a free people since 1963. The day after the video began to circulate widely, Mr. Liu, who could not be reached for comment, was deported. It was an especially stark illustration of the clash between the two cultures, with many adding that it produced a noticeable chill in relations between Kenyans and Chinese people in the capital. “That video had a big effect,” said Victor Qi, the Chinese manager of a noodle restaurant in Nairobi, adding that business from black customers seemed to fall off after that. Mr. Ochieng’ says he has heard stories of colonialism — “what our forefathers went through” — and worries that the Chinese will take Kenya backward, not forward as the nation’s leaders have assured. “These guys are trying to take us back to those days,” he said in the tiny room he shares with his wife and 2-year-old son. On the wall hung a poster with a verse from Ephesians. Nearby, on a little desk rested two Bibles, both equally dog-eared with use. “Someday I will tell my son that when you were young, I was despised because I was black,” he said. Hey everyone, I’m not exactly #newhere, because I've been lurking and commenting for a while, but I think it is time to get this first post done. I’m interested in #amateurradio, #arduino, #baking, #bikes, #chinese, #chocolate, #cooking, #electronics, #ev, #ghibli, #ham, #hamradio, #japan, #languages, #motorcycle, #nkust, #raspberrypi, #taiwan, #台灣, and #高科大. I am interested in a few more things, but I don't for example like to be notified multiple times that a new version X of Linux distribution Y is out, for me it's simply my standard OS to work with, not a toy. China's recent scientific achievements – including its embryo gene-editing research and historic moon landing – appear to be surrounded by secrecy. The global scientific community first learned about its experiments modifying the DNA of human embryos through rumours in 2015. And while China's National Space Administrative (CNSA) acknowledged in December 2018 that its spacecraft was preparing to land on the moon, it didn't broadcast or announce the actual touchdown. Instead we learned about it through whispers among journalists and amateur astronomers. This time last year, the first primates cloned through a nucleus transfer technique made headlines around the world. Now, Chinese researchers have pushed the envelope even further – by breaking a regulatory gene in macaques before cloning them. I can't even count how many people from the Baby Boomer generation (and early and mid Gen X too) I've heard the same racist comments against the Chinese and in particular, Filipino-Chinese. Main reason is this. They were born and grew up during the era when information was very limited and they were influenced greatly by rumours-as-truth or as we say in Filipino "sabi ng mga matatanda" (the elders said so). End result? They are narrow-minded and close-minded, a very dangerous combination. If that wasn't enough, they see themselves as always right because they lived longer. We have a Filipino proverb, a very stupid one if I may say, that goes like this "papunta ka pa lang pabalik na ako" (you're still on your way, I'm already on my way back"). Are they serious? Yes. They are serious that they don't know what they're talking about. It fits perfectly well with the Filipino insult "tumatanda ng paurong" ( [mentally]growing in reverse), meaning, instead of growing wiser over the years, the opposite is happening. Tell them how many mainland Chinese and Filipino-Chinese fought in the Philippines against the Imperial Japanese, they won't believe you. 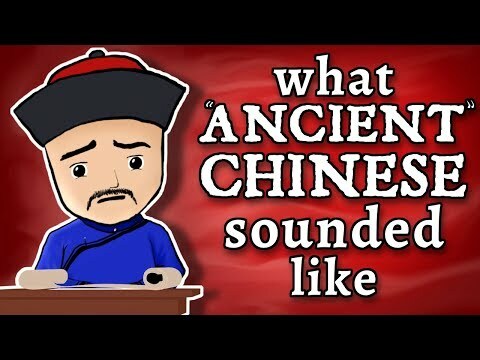 Tell them how mainland Chinese and early Filipino-Chinese funded KKK, they'll say you were lied to so the Chinese can insert themselves in our history. They won't even believe you that wealthy Spanish families also funded the KKK (Samahang Kataas-taasang, Kagalang-galangang Katipunan ng̃ mg̃á Anak ng̃ Bayan / Supreme and Venerable Society of the Children of the Nation) and died for it. They will never believe you that wealthy Filipino clans, former royalties, funded KKK, fought the Spaniards, shed blood, even led the revolution! How much more do you expect them to believe Filipino-Chinese were vital to the successes of this country? Unfortunately, this kind of mindset has shifted on today's generation, the Millenials, the TRUE Millenials, not the late Gen X and Gen Y generations, but true Millenials. They won't believe you because they haven't read it in Facebook or their teachers/professors never taught it. Only the late Gen X and the Gen Y generations have the most number of broad-minded and open-minded individuals who doesn't need a zealot mob to make a statement. It is sad that we're being crushed from both sides and it just is the reality. Let's understand that and embrace this reality. Then and only then can we truly fight back against this disease, this plague of narrow-minded, close-minded, racist, "views". These people are victims of their times, we need to approach them differently. Their method is to confront and debate; and to incite the zealot mob against you. Ours is to plant seeds of truth and water it for the good of the future generations. Instead of being reactionary whenever some "known name" says or write something, let's take the active stance, keep sharing the truth, plant the seeds, water it. Be ten steps ahead. Do it in your own way. This is a decentralised effort. VPN (GooglePlay & AppStore): How to get 1 kg of the rotten "free cheese"
We investigated the top free VPN (Virtual Private Network) apps in Apple's App Store and Google Play and found that over half are run by highly secretive companies with Chinese ownership. Very few of these hugely popular apps, which have hundreds of millions of installs worldwide, do anywhere enough to deserve the trust of consumers looking to protect their privacy. After the big names like Facebook and Snapchat and games, VPNs are the most searched-for apps in the world. The most popular have amassed hundreds of millions of installs between them worldwide and yet there appears to be little vetting of the companies entrusted with the responsibility for redirecting all their users’ internet traffic through their servers. A VPN or Virtual Private Network encrypts a user’s internet connection and diverts their traffic via a remote server in order to replace their IP address. They are primarily used to keep internet activity private, evade censorship and use public WiFi securely. It’s therefore vitally important that consumers choose their VPN provider wisely given the potential for misuse of their data. Unfortunately, the majority of apps appearing in the top results for “VPN” searches are free products from obscure and highly secretive companies that deliberately make it very difficult for consumers to find out anything about them. We decided to shine a light on these companies to help consumers avoid inadvertently compromising their privacy by using untrustworthy products. We recorded the top 20 free apps displayed in the search results for “VPN” in the App Store and Play Store for UK and US locales. This resulted in a list of 30 apps due to the overlap between stores and locales. See the notes at the end of this report for the full methodology. Our investigation uncovered that over half of the top free VPN apps either had Chinese ownership or were actually based in China, which has aggressively clamped down on VPN services over the past year and maintains an iron grip on the internet within its borders. Furthermore, we found the majority of free VPN apps had little-to-no formal privacy protections and non-existent user support. Apple and Google have let down consumers by failing to properly vet these app publishers, many of whom lack any sort of credible web presence and whose app store listings are riddled with misinformation. - 64% of apps had no dedicated website – several had no online presence beyond app store listings. - Vast majority of companies make it very difficult to find out where they are based and who is involved – for a minority it was impossible to track down the provider. Temperatures inside the one-liter canister dived to -52 degrees Celsius, which resulted in the death of cotton sprouts during an experiment by Chang’e 4 probe attempting the creation of a self-sustaining mini biosphere on Moon. A very brief introduction to modern science fiction from the People’s Republic of China. [IMG]“Science fiction is as rare as unicorn horns, which shows in a way the intellectual poverty of our times”, wrote Lu Xun, one of China’s most towering and revered literary figures, writing about science fiction literature in China in his preface to his 1903 translation of Jules Verne’s From the Earth to the Moon. 116 years later, science fiction in – and from – the People’s Republic of China has come a long way since then, to become what is arguably the most popular genre of literature in China and with translations of Chinese science fiction picking up pace and finding a ready and eager audience – to the extent that some have even referred to it China’s greatest cultural export since kung fu – one can safely say that Chinese SF’s journey to the west (and elsewhere) has only just begun, with its star showing no signs of diminishing. But it wasn’t always so. War, cultural upheaval, political upheaval would all contribute soon enough to pause such noble endeavours, with the only notable work SF of that time being Cat Country – the 1932 work of science fiction by another significant figure of twentieth-century Chinese literature, Lao She – in which the author satirises China of the time, through the story of a taikonaut who crash lands on Mars and stumbles upon a race of cat people, a feline society whose foundations and values have eroded with time and opium (‘reverie leaves’) are all they truly care about now. Once again, it wasn’t till years later – in the late 1970s – that science fiction would flower again in China during the early years of Deng Xiaoping. And once again, for a brief period. But brief through this period may have been – lasting just a few short years until hitting its first roadblock in the form of the Communist Party’s Anti-Spiritual Pollution Campaign, for being a foreign-influenced indulgence – a large body of SF emerged during this period, most notably Ye Yonglie’s Little Know-It-all Travels the Future, archaeologist and anthropologist Tong Enzheng’s Death Ray on a Coral Island and Zheng Wenguang’s Flying to Sagittarius (also translated as Forward Sagittarius). More importantly, this period also saw the foundation laid for the success of contemporary Chinese science fiction in the form of the establishment and growth of many science fiction fan clubs and SF magazines, chief amongst them being Science Literature which first came out in 1979, continued to publish during the campaign against spiritual pollution and continues to this day under the name of Science Fiction World. It was only to be in the early 1990s when Chinese science fiction would enter an uninterrupted golden age, and leading the charge would be writers who’ve lived through the Cultural Revolution, being born just before or during it, the ‘three generals of Chinese science fiction’: Wang Jiankang, Han Song and the name most familiar to non-Chinese science fiction fans, Liu Cixin, the author of The Three-Body Problem, the novel that was instrumental in opening the floodgates of Chinese SF to the English-speaking (and reading) world and the writer of The Wandering Earth, on which the film billed as China’s breakout sci-fi blockbuster is based on. A name most often added to this list is that of He Xi, the pseudonym of an as-yet-anonymous author, to make it the ‘Big 4’ of Chinese science fiction. Left & Right: Books 1 & 3 of the Liu Cixin’s Remembrance of Earth’s Past trilogy, translated by Ken Liu (centre) shown receiving the Hugo Award for Best Novel on Liu Cixin’s behalf. History was made at the 73rd World Science Fiction Convention in 2015, when Ken Liu – SF/F author and award-winning writer of The Paper Menagerie – stepped on stage to accept the Hugo Award for Best Novel, on behalf of Liu Cixin, for The Three-Body Problem, the first translated book ever to win this prestigious award. By this time, science fiction in China had seen its longest uninterrupted run as a popular genre with professional SF magazines, fanzines and fan clubs thriving. And one of the chief reasons behind this Chinese science fiction renaissance is the same that in the previous century prevented the genre from reaching its fullest potential – the Chinese government. So, what changed? L-R: The cover of the forthcoming Waste Tide by Chen Quifan, Chan KoonChung’s The Fat Years and Wang Jinkang’s Pathological. That said, the stories that Chen Quifan, described as ‘China’s William Gibson’, himself tells is not one of a socialist paradise or a utopian world highlighting as he does the inequality that racks China today, at a time when the country is at its most prosperous since the time of the Ming dynasty. While he may write about uncomfortable truths, with science fiction stories that are perhaps not the ideal story that the state would like him to tell, Chen Quifan is not alone because he displays the same characteristics of the new generation of Chinese science fiction writers who don’t shy away from tackling the difficulties of being born into a ‘torn generation’ (as Han Song terms it) that is global in its outlook yet grappling with its place in its society and tradition given the rapid technological progress and societal transitions that this generation has had to go through, one that includes SF writers such as Xia Jia, Ma Boyong, Bao Shu, Zhang Ran, Tang Fei, and Ho Jingfang, who was the second Chinese writer and the first Chinese woman to win a Hugo Award (for Best Novelette) for her story, Folding Beijing. What then, are the differentiating characteristics of Chinese science fiction? What are the common traits of science fiction written by Chinese authors? The only reason I bring up these questions is to highlight that that they are the wrong questions to ask. The short stories and novels that get categorised as Chinese science fiction – by virtue of being from the PRC, a country of more than billion people with a culture that goes back thousands of years – defy easy labels. Depending on the author and – even then – when the story was written, they span the entire spectrum of convenient labels. But where then, does one begin to dip one’s toes into science fiction from China and explore stories born of a different culture and tradition that we are familiar with, and descended from a different literary ancestor? Here then are a few recommended books available in English: Invisible Planets – Edited and Translated by Ken Liu and The Reincarnated Giant – Edited by Mingwei Song and Theodore Huters (both anthologies of contemporary Chinese SF), The Fat Years by Chan Koonchung (banned in China and described as the Chinese 1984), The Three-Body Problem by Liu Cixin and Cat Country by Lao She. Happy reading, and Live Long and Prosper! Xia Jia – What Makes Chinese Science Fiction Chinese? Updated at 11:08 pm on January 13, 2019 to add the names of Zhang Ran and Tang Fei to the list of Chinese sci fi writers. Data appears to have originated from a data scraping app that collected resumes from Chinese job portals. #China must be and will be #reunified, #President #Xi #Jinping said on Wednesday, warning against external interference in the #Taiwan question. Xi, also general secretary of the Communist Party of China Central Committee and chairman of the Central Military Commission, made the remarks at a gathering in #Beijing to commemorate the 40th anniversary of the Message to Compatriots in Taiwan. Chinese people's affairs should be decided by the #Chinese people, Xi said, stressing that the Taiwan question concerns China's core interests and the national bond of the Chinese people. "We are all of the same family. Cross-Straits affairs are #domestic #affairs and should naturally be addressed through discussion and consultation among ourselves," Xi said. The historical and legal facts, that Taiwan is part of China and the two sides across the Taiwan Straits belong to one and the same China, can never be altered by anyone or any force, Xi said. China's #reunification does not harm anyone's legitimate interests, including economic interests in Taiwan, Xi said. It will only bring more development opportunities to other countries, inject more positive energy into the prosperity and stability in the Asia-Pacific region and the world, and make greater contributions to building a community with a shared future for mankind, he said. Xi said that the principles of "peaceful reunification" and "one country, two systems" are the best approaches to realizing national reunification. On the basis of ensuring #China's #sovereignty, security and development, the social system and way of life in Taiwan will be fully respected, and private property, religious beliefs and legitimate rights and interests of Taiwan compatriots will be fully protected after peaceful reunification is realized, Xi said. Xi called on Chinese people on both sides of the Taiwan Straits, as well as Chinese abroad, to work together for the Chinese nation's greater good and go with the tide of history by jointly pushing forward the peaceful development of cross-Straits relations and advancing the process of the peaceful reunification of China. As long as the one-China principle is upheld, there will be no obstacles in exchanges between political parties and groups in Taiwan and the mainland, Xi said. Liu Jieyi, head of the Taiwan Work Office of the CPC Central Committee and the State Council Taiwan Affairs Office, said the past decades have witnessed strengthened cross-Straits political, economic, cultural and personnel exchanges, and the mainland has been Taiwan's largest market and top investment destination outside the island. On New Year's Day 1979, the National People's Congress Standing Committee issued its Message to Compatriots in Taiwan, stating major policies to help realize peaceful reunification of the nation. The message reiterated that the firm stand of one China and opposition to an independent Taiwan are the basis for cross-Straits cooperation. China must be and will be reunified, President Xi Jinping said on Wednesday, warning against external interference in the Taiwan question.